Preschool assessment requires training and experience to be done well! Preschoolers bring unique challenges to evaluation, and I have developed my assessment battery, philosophy, and behavioral strategies in order to facilitate the best measures possible. I use a play-based approach with young preschoolers, and a fun, developmental approach with older preschoolers. 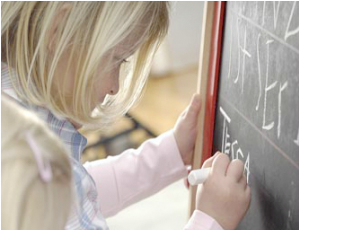 Parents are present for many of the preschool evaluations, unless you request otherwise. Parent input is an indispensable component of these valuations as you know the most about your child’s temperament, development, and skills. Evaluations will be completed if they are judged to be fair representation in the areas of cognition, language, motor development (fine, gross, sensory integration), social development, and self-help skills. The report can serve as a comprehensive baseline for future comparison, to make informed decisions about kindergarten placement and timing, to guide interventions and treatment, to develop goals, and/or to address eligibility for special education programs. If you would like me to observe settings in order to make a specific placement recommendation, this can be arranged after the evaluation is completed.